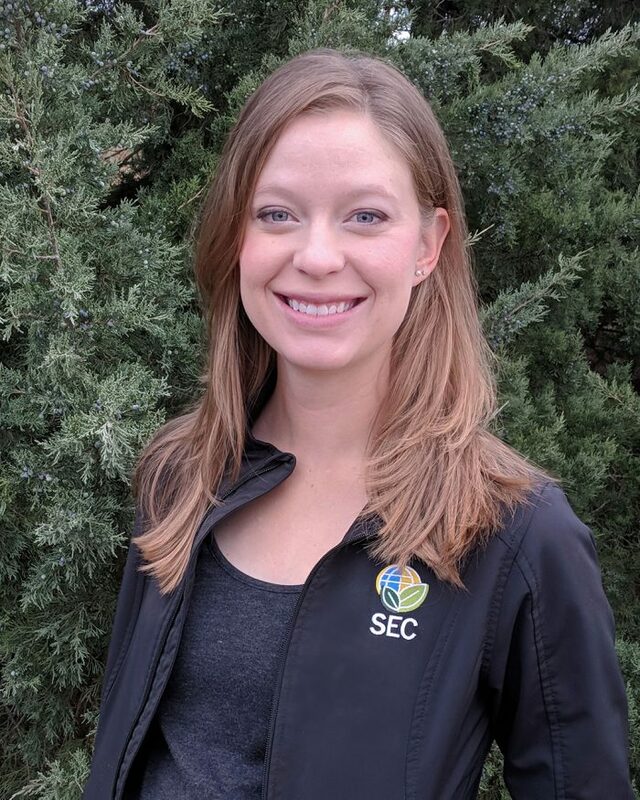 As an environmental technician at Sustainable Environmental Consultants in the Agricultural Compliance and Engineering Division, Samantha is responsible for developing and updating nutrient management plans, reviewing and submitting monthly operation reports and annual reports. She also completes renewal and permit applications as well as monitors and reports overnight water balance tests. She knows that one of the challenges that SEC’s customers face is the increasing rules and regulations that they must follow to stay in business. She believes it’s her job to stay up to date on new rules and regulations to help them be aware of any issues they may face, especially those that aren’t big enough to have their own full-time environmental consultant. Before SEC, Samantha worked at a farmers’ co-op in the grain and agronomy departments. She sold and wrote custom application work orders for chemicals and fertilizers. This included mapping out the fields and figuring out how much of each ingredient would need to go in the sprayer or spreader. She holds a bachelor’s degree in agricultural business from Fort Hays State University. During college, she worked in a greenhouse and did landscaping projects. She is working on becoming a Certified Crop Advisor. Samantha grew up on a family farm growing wheat and milo. She and her husband run a cow/calf operation where his grandparents used to farm. In her spare time, Samantha loves gardening and landscaping. She enjoys growing vegetables and planting flowers and shrubs. She and her husband also enjoy spending time with their German Shepherd.